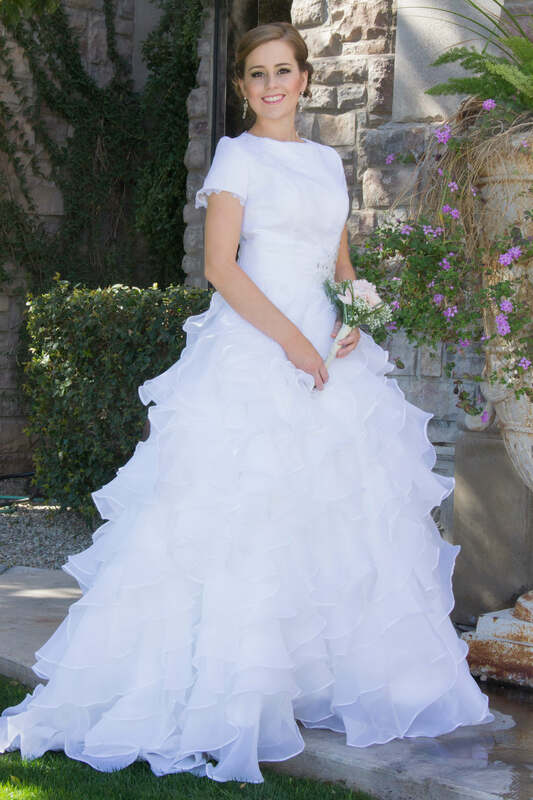 Dozens of flounces and ruffles of white organdy cascade down this lovely gown’s skirt to the floor length hem. Alice features a beautiful, full a-line silhouette and a lovely, small graceful train. 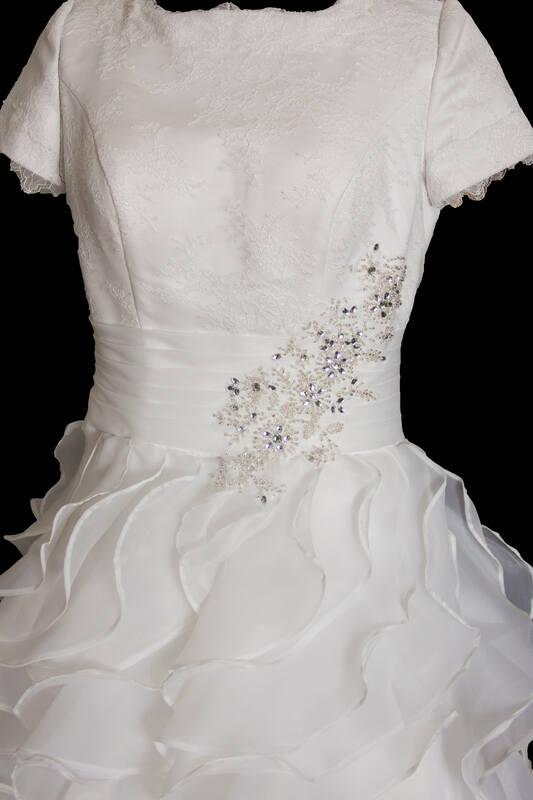 A pleated organdy waistband perfectly transitions the dress into the gorgeously detailed and fitted bodice. Made of exquisitely lined lace, Alice’s bodice is both perfectly tailored and detailed. Lengthened darts ensure a lovely fit whilst elongating the figure, and the short sleeves and delicate scoop neck are both edged in eyelash lace. At the waist, a beautifully embroidered floral motif featuring beading and jewels perfectly completes the gown’s aesthetic. The back of the bodice features a high neckline and is tailored to ensure a lovely, feminine fit. Completing this romantic gown are a row of small, covered buttons at the back, under which lies an invisible zipper. For skirt fullness as shown, be sure to order our Belle Slip. Thank you so for making my girl's dress. She said, "Mommy, I Love my dress! it's perfect!" And her Daddy said, "Wow." Sara loved the veil, too!